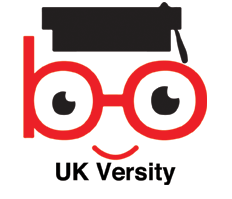 UK Versity offers various Accounting Qualifications, which each takes between 6 to 12 months to complete. These qualifications provide training for a huge range of accounting and finance roles and are respected by employers worldwide. We provide bespoke training support and easy to use lessons for the accounting and finance courses. OTHM courses are delivered via blended learning. These qualifications are designed for learners aged 19 and above. However, does not specify any entry requirements. Centers are required to ensure that learners who register for these qualifications have the necessary skills to undertake the learning and assessment. * The fees is per academic year and registration fees is included. There are no other hidden costs.